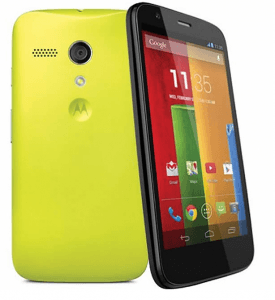 Motorola will be foraying back into the Indian market with the launch of the Moto G which is slated to launch in the last week of this month. We will get the dual SIM version of the device which is the one that can be found in Brazil as well. The smartphone is expected to come with a price tag under Rs 12,000 for the 8GB version and under Rs 15,000 for the 16GB version. Our take: The After Sales Services department will be a challenge for Motorola this time around. However if it prices the device right and manages to take care of distribution and after sales, we might just have a winner on our hands as no device in the sub Rs 15,000 range will even come near to it. can you tell when the CDMA Moto G is available in Indian Market ?